May 17 Countywide 8th Grade Dance 6pm-9pm at Sparta School large multipurpose room. There is no charge. Pizza and drinks will be served. Dress code is Sunday best. GCS Kindergarten Screenings for 2019-2020 School Year. Call 336-657-3388 for an appointment. 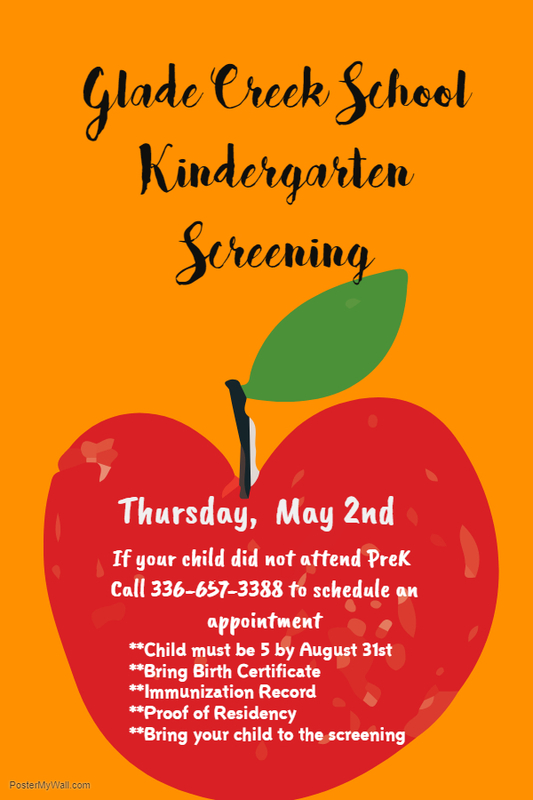 PreK Screenings for 2019-2020 at Sparta School. Call 336-372-4345 to make an appointment. 8th Grade Dance 6pm-9pm at Sparta School Large Multipurpose Room. No charge. Dress Sunday Best! Congratulations to our Battle of the Books team on placing 2nd in the county competition! 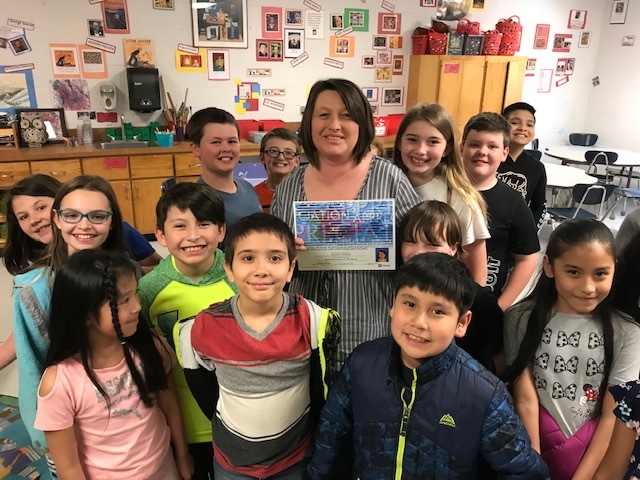 At Glade Creek School we offer a positive environment that supports the whole child. 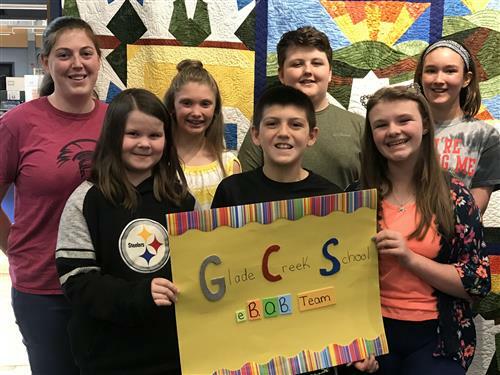 Glade Creek School offers: Friendship, Involvement, Success, Happiness, Freedom, Responsibility, Education, Vision, Excellence, Results, and Global Opportunites.